On Friday, November 2 at 8pm the Nashville Jazz Workshop presents pianist Pat Coil live in the Jazz Cave. Pat has toured Japan, South America, Europe and the U.S. with such artists as Michael McDonald, Carmen McCrae, Amy Grant, Vince Gill, Woody Herman and many others. Pat has recorded with many artists including Natalie Cole, Trisha Yearwood, Ernie Watts, Carmen McCrae, BeBe & CeCe Winans, Travis Tritt, Peter Cetera, Woody Herman, Scott Henderson and Michael McDonald. His talent spans the musical spectrum of pop, jazz, R&B, gospel, country, and more. 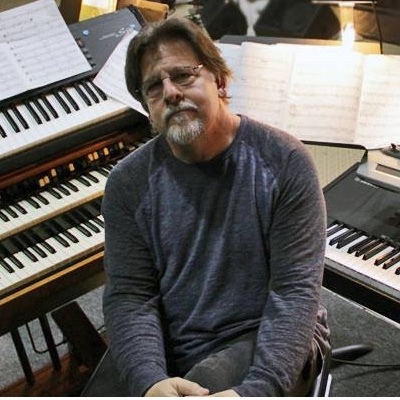 Pat has recently returned to Nashville , after a stint as a member of the jazz faculty at the University of North Texas. Pat has also served on the jazz faculty at Middle Tennessee State University, teaching jazz piano, combos, and improvisation. Pat has recorded six jazz albums as a leader, the third one being a collaboration with Lyle Mays. “True North” and his latest album “Birdhouse” are available at patcoil.com and cdbaby.com. As always, Pat brings a superb band to this performance: Drummer Jim White, saxophonist Mark Douthit, bassist Jonathan Estes, and guitarist Steve Kovalcheck. There will be two sets beginning at 8:00 pm in the Jazz Cave at the Workshop. Tickets go on sale Monday, October 22 at 10am, and are $25 ($15 for high school and college students). Advance purchase is strongly recommended. Tickets are available online from brownpapertickets.com and are also available by phone at 800-838-3006 24/7 or 615-242-5299 during business hours.